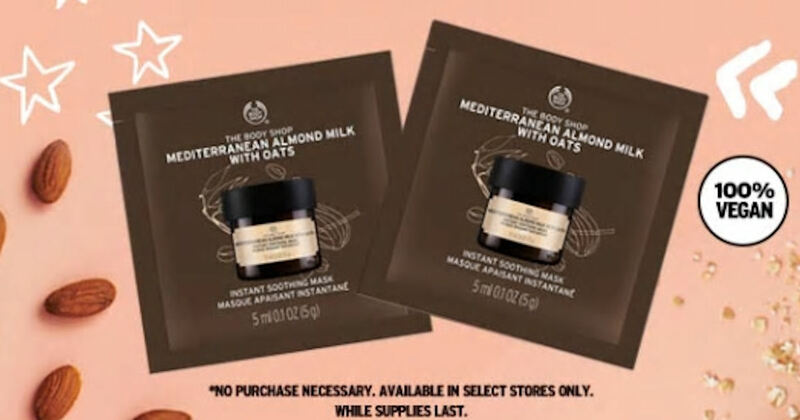 Get a free sample pack of Mediterranean Almond Milk with Oats Instant Soothing Mask at The Body Shop! Enter your details to get an email you can redeem at your local stores. Valid while supplies lasts.